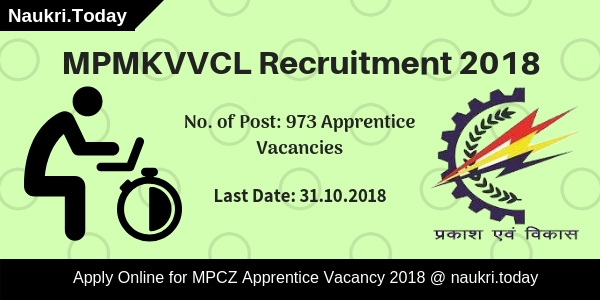 Madhya Pradesh Madhya Kshetra Vidyut Vitran Company Limited in inviting candidates for filling up 973 Trade Apprentice Vacancies. Those applicants are interested and eligible for MPMKVVCL Recruitment 2018 may fill online form from here or official site. The registration of MPCZ Apprentice Job is already started. Candidates can submit their application form before the last date 31.10.2018. Furthermore, such as eligibility criteria of MPMKVVCL Vacancy 2018, Selection Process & others are mentions below. MPCZ.co.in Apprentice Vacancy Notification is released for filling up 973 posts. This is a great opportunity for Madhya Pradesh State candidates. Online Registration form of MPMKVVCL Apprentice Recruitment is available from 01.10.2018. Candidates must submit their online form before the last date. Rest information like How to Fill MPMKVVL Job Online Form? & other you can collect from below paragraphs. Therefore, read our full article properly for details of MPCZ Bharti 2018. What is the Exam Procedure & Selection method for MPMKVVCL AE JE Recruitment 2017 ? Interested applicants who are going to apply for Madhya Pradesh MPMKVVCL Recruitment 2018 must fulfill eligibility criteria also. Candidates must complete the education qualification criteria of MPCZ Vacancy. The qualification must be available at the time of filling up MPMKVVCL Apprentice Recruitment 2018. Details are given below. Applicants must complete their ITI from recognized Institute by NCVT or SCVT. Applicants those are going to apply for MPMKVVCL Recruitment 2018 must complete 18 years. While applicants should not be more than 25 years for MPCZ Apprentice Vacancy 2018. Upper age relaxation is applicable as per govt. norms. Applicants will get select on the basis of marks obtained in ITI examination. A merit list will prepare by the department to select a candidate for MPMKVVCL Recruitment according to marks obtained in ITI. Furthermore, details check mpcz.co.in Notification. One year training program organized for selected candidates. During the training period, they will also receive a monthly stipend. As on 01.10.2018, the department will pay Rs. 8232/- to a semi-skilled worker. If you have any issues then you can contact helpline number and check MPMKVVCL Notification 2018. Those eligible candidates wish to apply for MPMKVVCL Apprentice Vacancy must fill the online form. The online application form is available on the official site as well as here also. Before going to fill the online form applicants must have the valid mobile no. and email id. You may also collect scan copy of photograph and signature. Now follow some instruction to apply online for MPMKVVCL Vacancy 2018. First of all, visit the official site mpcz.co.in. Download MPMKVVCL Notification 2018 through online mode. Read all the information mention on MPCZ Notification 2018. Now go to apply online for MPMKVVCL Recruitment 2018. Enter your personal & education information on it. Also Upload Signature & Photograph. Make payment of application fees if any. Recheck all details mention on MPMKVVCL Application Form. Submit it and take the hard copy for future reference. Conclusion: MPCZ Bhopal is inviting applicants for one year apprentice training. Those candidates want to apply for MPMKVVCL Recruitment 2018 may fill the online form either here or official site. The last date of online registration is 31.10.2018. 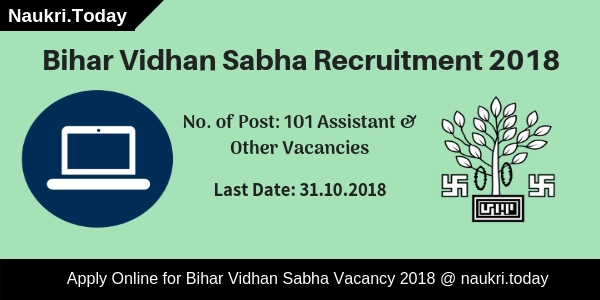 Madhya Pradesh Madhya Kshetra Vidyut Vitaran Company Limited has released notification for recruiting candidates on 73 Assistant Engineer & junior Engineer Vacancies. Candidates who are waiting for MPMKVVCL Recruitment 2017 have a great job opportunity for Them. You can submit Application form through online mode for MPEB Bhopal Vacancy 2017 from here before the last date. Closing date for submit MPMKVVCL Vacancy online form for Assistant Engineer Post is 26.07.2017 & for JE Post is 14.08.2017. MPEB Madhya Pradesh Central Zone (MPCZ) has published recruitment advertisement for those candidates who are looking for MPMKVVCL Jobs Notification 2017. Mode of submit application form should be online form for MPEB Bhopal AE Recruitment 2017. Candidates who are going to fill online form are advise to check “What is the required Essential Qualification for MPEB Bhopal AE JE Recruitment 2017”. For more information about MPCZ Vacancies like Age Limit, Education Qualification etc. you can check from below details. Fresh Update (27.07.2017) : Dear Applicants, Link for applying online form for Junior Engineer (Distribution) Vacancy has been started. Candidates who are interested in MPMKVVCL JE Vacancy can fill online form here. link for applying online form is mention below. You can also check New Dates of Online Form & Examination is shown below. Age Limit For MPEB Bhopal JE Vacancies : Age of the candidates for MPMKVVCL AE vacancy should be 21 years to 40 years & Age for MPEB Bhopal junior Engineer Jobs must be in between 18 year as to 40 years as on 01.07.2017. Relaxation in age for MPCZ Recruitment 2017 is applicable as per department norms. AE Jobs : Candidates must have done BE/B.Tech or AMIE in respective Trade from any recognized University with minimum 65% Marks (55% for SC/ST Category). For AE (D) candidates must have a valid GATE Score Card for filling MPEB Bhopal AE Jobs 2017. JE Jobs : Diploma in Electrical or EEE from any recognized University for MPMKVVCL JE Recruitment 2017. Bhopal MPEB Jobs 2017 Application Fee : Candidates who are going to fill online form for AE (IT Network) & JE (D) jobs must paid Rs. 1500/- by General/ OBC Applicants & Rs. 1000/- paid by SC/ST Category candidates. For Remaining AE Jobs, General /OBC category should paid Rs., 300/- for applying online form & SC/ST Category candidates need to pay Rs. 200/- for MPEB AE Recruitment 2017. Assistant Engineer Vacancy : Candidates will paid pay band Rs. 15,600/-to 39,100/- with grade pay Rs. 5,400/- for MPCZ Vacancy. MPEB Bhopal JE Jobs : Rs. 9,300/- to 34,800/- with GP Rs. 4,100/- will paid for Junior Engineer Jobs 2017. MPEB Bhopal Recruitment 2017 Selection Criteria : Selection of the candidates for MPMKVVCL Recruitment 2017 for JE & AE (IT Network) will based on Online Assessment Test. 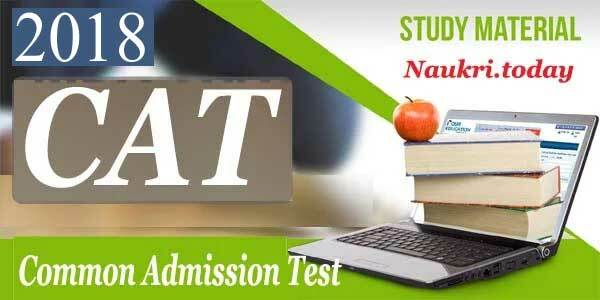 Exam will going to held on Bhopal, Gwalior, Jabalpur & Indore Cities. Selection of the candidates for AE (D) Vacancy will based on Valid GATE Score Card & experience. Candidates can check Exam Procedure & Selection criteria more Details either from here or from official website. Keep visit here for future updates about MPMKVVCL Bhopal Recruitment 2017. How To Fill Online form for MPMKVVCL Recruitment 2017 – MPEB JE Vacancy Online form ? Applicants log on to the official website www.mpcz.co.in. Now click on official MPEB Bhopal Vacancy Notification link. Read all the important information from Advertisement properly. Fill all required information in form properly without any mistake. Upload your recent passport size Photo & signature in form carefully. Now click on submit MPEB online form. Take print out of Bhopal MPCZ Jobs Online form. Conclusion: MPMKVVCL Recruitment 2017 for 73 AE JE Vacancies. candidates can fill online form for MPEB Bhopal Jobs 12017 on or before the last date, that is 14.08.2017. Sir I get 190 any chance to select mpeb revenue officer m.p post.